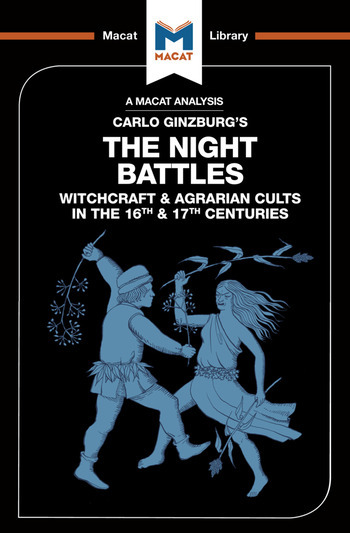 In The Night Battles, Carlo Ginzburg does more than introduce his readers to a novel group of supposed witches – the Benandanti, from the northern Italian province of Friulia. He also invents and deploys new and creative ways of tackling his source material that allow him to move beyond their limitations. Witchcraft documents are notoriously tricky sources – produced by elites with fixed views, they are products of questioning designed to prove or disprove guilt, rather than understand the subtleties of belief, and are very often the products of torture. Ginzburg placed great stress on variations in the evidence of the Benandanti over time to reveal changing patterns of belief, and also focused on the concept of ‘reading against the text’ – essentially looking as much at what is absent from the record as at what is present in it, and attempting to understand what the absences mean. His work not only pioneered the creation of a new school of historical study – ‘microhistory’ – it is also a great example of the creative thinking skills of connecting things together in an original way, producing novel explanations for existing evidence, and redefining an issue so as to see it in a new light. Luke Freeman is a PhD candidate in History at the University of Minnesota , Twin Cities. In addition to his work as an Historian he holds masters degrees in Diviinity and Sacred Theology from the Yale University Divinity School.